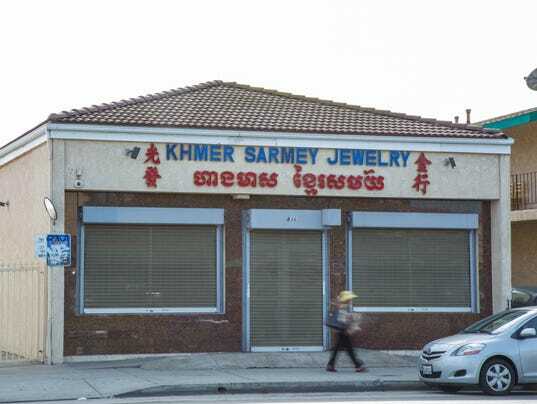 Prosecutors dropped criminal charges against four people linked to Khmer Sarmey Jewelry in Long Beach, Calif. because they concluded that wiretaps the DEA used in a money laundering investigation were illegal. Federal drug agents spent months watching a tiny California jewelry store sandwiched between an auto parts shop and an apartment house with bars on its windows. They secretly recorded its owner’s phone calls and intercepted couriers carrying away boxes full of cash, sometimes stuffed with $100,000 or more. For more than a year, they gathered evidence that the store was laundering millions of dollars for drug traffickers. Then, in the space of a few minutes in October, their whole case fell apart. Prosecutors determined that wiretaps the U.S. Drug Enforcement Administration used as the core of its investigation were illegal and couldn’t be used in court. Four suspects went free, and they want the government to give back nearly $800,000 drug agents seized. “These people were dealing in drugs, and they are guilty, and because of a procedural issue and a suppression motion, they got away with it,” said Mike Ramos, the district attorney in San Bernardino, Calif., whose office prosecuted the case. The wiretaps prosecutors concluded were illegal had been approved by officials in Riverside County, Calif., a Los Angeles suburb responsible for nearly a fifth of all U.S. wiretaps last year. An investigation last month by USA TODAY and The Desert Sun found that prosecutors there almost certainly violated a federal law that requires the district attorney to personally sign off on wiretap applications. Those tainted wires were used to make arrests and seizures throughout the USA. More of those cases could be in peril, and the abrupt end of the San Bernardino money laundering case offers a vivid example of how significant the consequences could be. Court records show the DEA used wiretaps with the same legal flaw to build cases in California, Kentucky, Oregon and Virginia. State and federal prosecutors are beginning to review those cases to see whether they can go forward. The San Bernardino money laundering case — largely unknown outside the county’s courthouse — began more than a year and a half ago, when agents started probing shipments of cash leaving Khmer Sarmey Jewelry, a small shop on a commercial strip in Long Beach, Calif., outside Los Angeles. By late 2013, agents had seized $290,000 from people seen leaving the store and had tied its owner’s phone to what they suspected was a far wider network of illicit money transfers, according to court records. They got permission from prosecutors and a judge in Riverside to wiretap the store’s owner, Koan You Lay. The wire yielded still more: Within a few days, agents seized $299,000 from a man seen leaving the store. In all, they reported seizing more than $1.1 million in cash, most of it from people they had tracked from the jewelry store. They charged seven people linked to the store, including Lay, in state court in San Bernardino. The case was peculiar. For one thing, agents took the suspects to court in San Bernardino, even though little of the crime they were investigating had happened there. They sought the wiretap from prosecutors in Riverside, which had an even more tenuous connection. The justification the DEA offered in its wiretap application was that the phone of someone who had been stopped leaving the store with a shipment of cash had been in contact with another phone that had, in turn, been in touch with a phone belonging to a Riverside County nightclub owner agents suspected was a drug trafficker. The bigger problem had to do with who signed the wiretap application. Federal law bars the government from seeking a wiretap unless a top prosecutor has personally authorized the request, a restriction Congress imposed in the 1960s after the FBI secretly eavesdropped on civil rights leaders. In California, a federal appeals court said that means wiretap applications have to be approved by the district attorney himself unless he is “absent” and turns over all of his authority to one of his subordinates. In Riverside, District Attorney Paul Zellerbach routinely delegated that job to lower-level lawyers, a practice the appeals court’s decision forbids. Zellerbach said in interviews he could not recall ever having personally authorized a wiretap application. In the San Bernardino case, the legitimacy of the jewelry store wiretap — like that of many Riverside wiretaps — depended on Zellerbach’s whereabouts. Unless Zellerbach was truly absent Dec. 6, 2013, the day the prosecutors applied to wiretap Lay’s phone, the surveillance was almost certainly tainted. 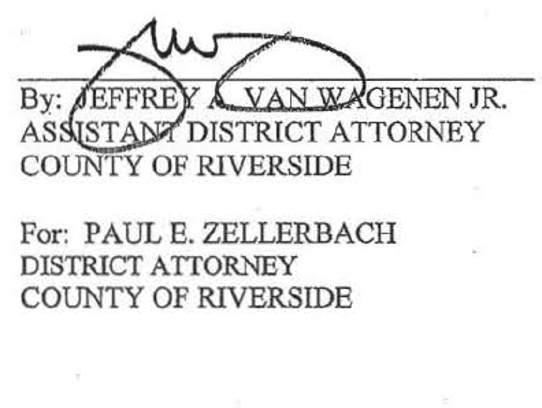 Riverside prosecutors said they have no idea where Zellerbach was on that day — or most others. “He kept his own calendar and didn’t share it with anyone, not even his secretary,” said Riverside’s new district attorney, Mike Hestrin. Lawyers for Lay and the other suspects asked a judge in San Bernardino to throw out the wiretaps and all evidence tied to them. Prosecutors did not object; Deputy District Attorney Mallory Miller said during a hearing in October that they did “not have a legal position to oppose” the request. Lay and others have taken the unusual step of asking a federal court in Los Angeles to return nearly $800,000 of the money DEA agents seized during the investigation. They started that fight before the criminal case was dismissed, but their case got considerably stronger after prosecutors in San Bernardino conceded that wiretap evidence was tainted. Justice Department lawyers have not indicated how they will respond to that request. It is almost impossible to know how widely the DEA has used tainted wiretaps from Riverside County; many records related to the surveillance are sealed. State and federal court records show prosecutors have relied on Riverside County wires signed by Zellerbach’s assistants to make arrests in California, Kentucky, Oregon and Virginia. Justice officials said they have been gathering information about the DEA’s use of Riverside County wiretaps, including building a more complete list of criminal prosecutions in which they were used. The officials, who spoke on the condition of anonymity because they were not authorized to discuss internal deliberations, said the department had not decided how to proceed. A Justice Department spokesman, Patrick Rodenbush, declined to comment on those cases. Defense lawyers are also beginning to examine the wiretaps. 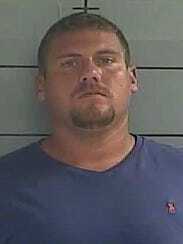 In Louisville, the lawyer for a special sheriff’s deputy charged with plotting to distribute more than 1,000 kilograms of marijuana said they had “grave concerns” about the Riverside wiretaps that led to his arrest. Federal prosecutors alleged that agents used the wiretaps to intercept more than $630,000 from couriers the deputy, Christopher Mattingly, dispatched to California to pick up drugs. They accused him of threatening to kill a police officer who had been investigating him. “We are in the process of researching the potentiality of a suppression of the wiretaps and any evidence that was derived from these wiretaps,” Mattingly’s lawyer, Brian Butler, said. 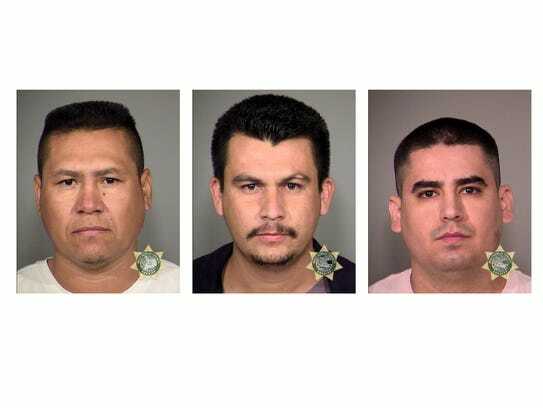 In Oregon, federal prosecutors used a similar wiretap to bring charges in 2012 against three men the DEA said were tied to the Sinaloa drug cartel. One was overheard on a wiretap discussing cocaine shipments with his boss, according to court records. All three pleaded guilty and were sentenced to prison. In Riverside, prosecutors revealed in June that DEA agents and police officers used a wiretap to seize 20 kilograms of cocaine and $15,000 from a shipping office in 2013. Prosecutors charged two men with possessing cocaine. In all three cases, the wiretap applications were signed by one of Zellerbach’s assistants. Zellerbach did not respond to requests for comment. Hestrin, Riverside’s new district attorney, said his office will evaluate any challenges to the wiretaps and would probably defend them in court. Hestrin said he personally reviews wiretap requests in Riverside and approves them only if the crime appears to have happened in the county. As a result, he said, his office “is saying ‘no’ quite a lot more” than it had.